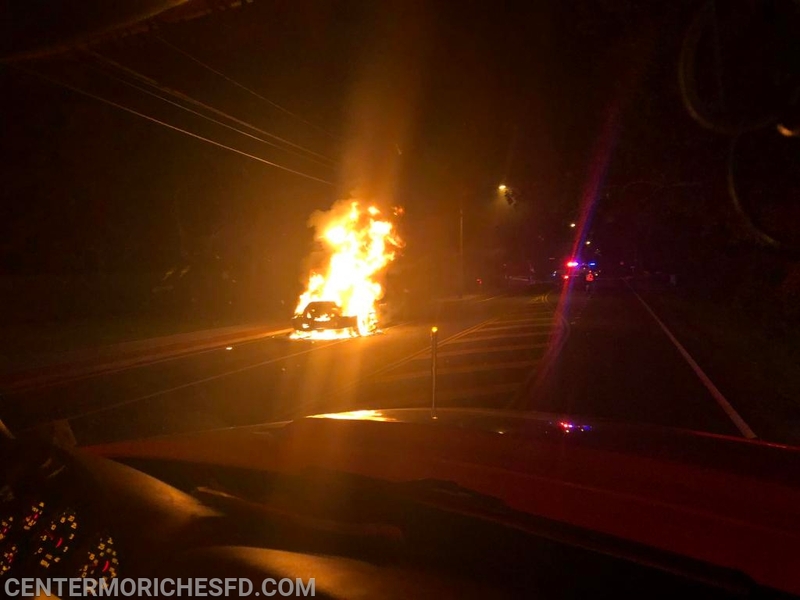 Just before 5am Center Moriches Firefighters were called to a truck fire in front of the Rosemar Construction Corporation on Railroad Avenue just south of Wading River Road. 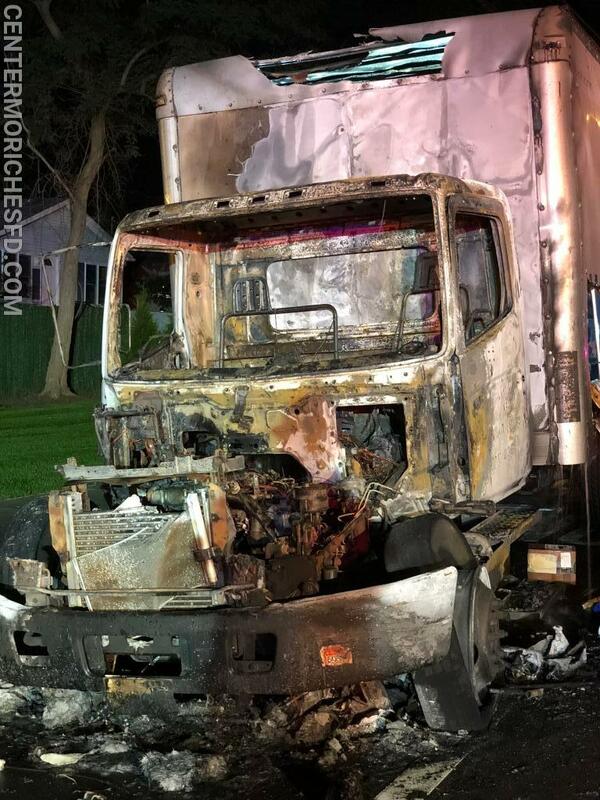 Firefighters arrived to find the cab of a commercial box truck fully involved. 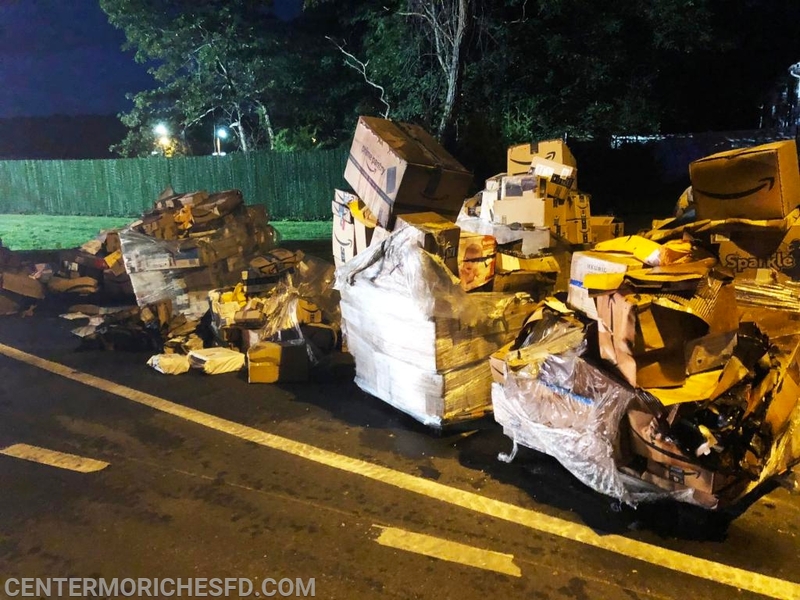 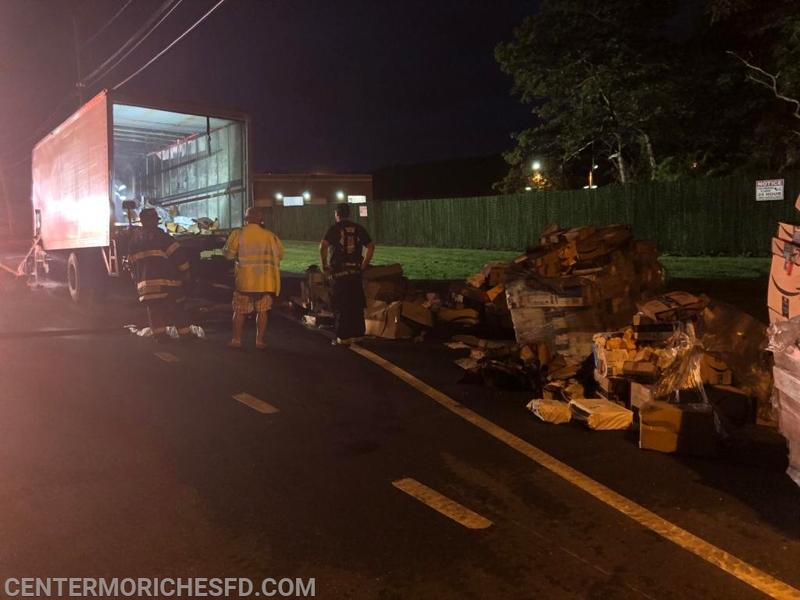 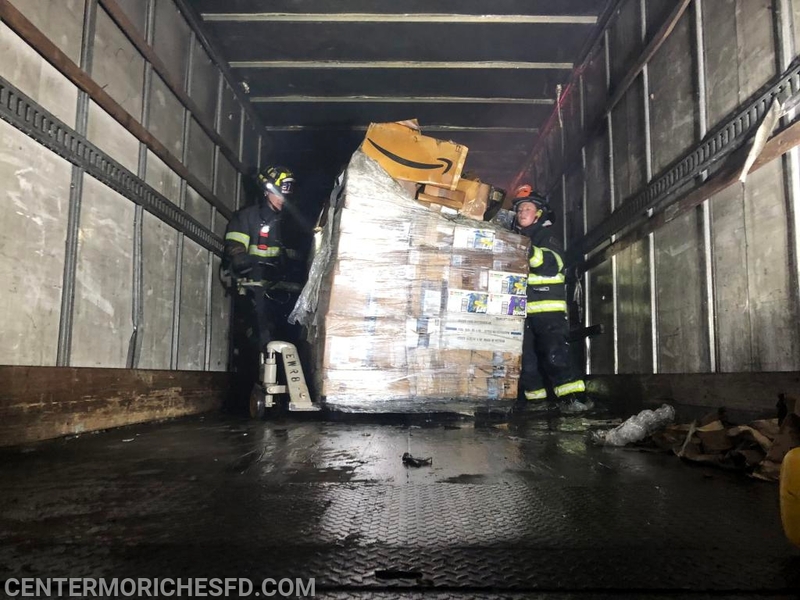 The driver of the truck stated he smelled smoke and pulled over, he was delivering packages from an Amazon distribution center to the Center Moriches Post office. 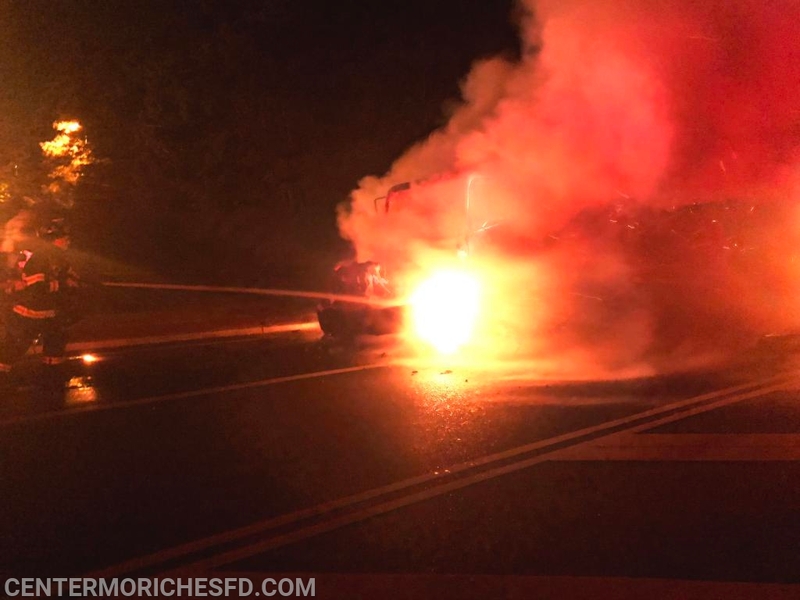 It took firefighters 10 minutes to bring the fire under control. 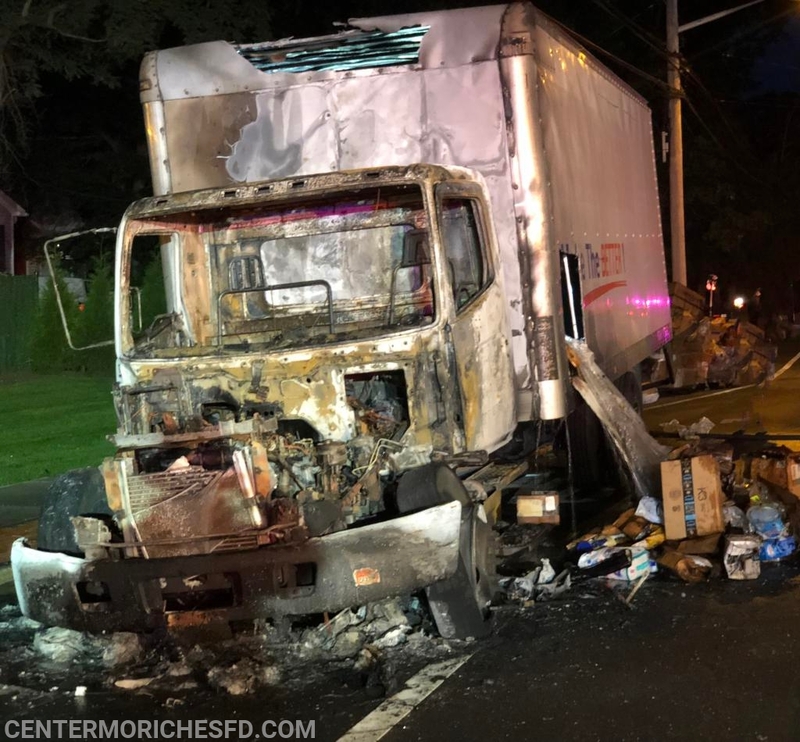 However due to the packages burning inside the truck, firefighters were tasked with emptying the contents of the truck onto Railroad Avenue. 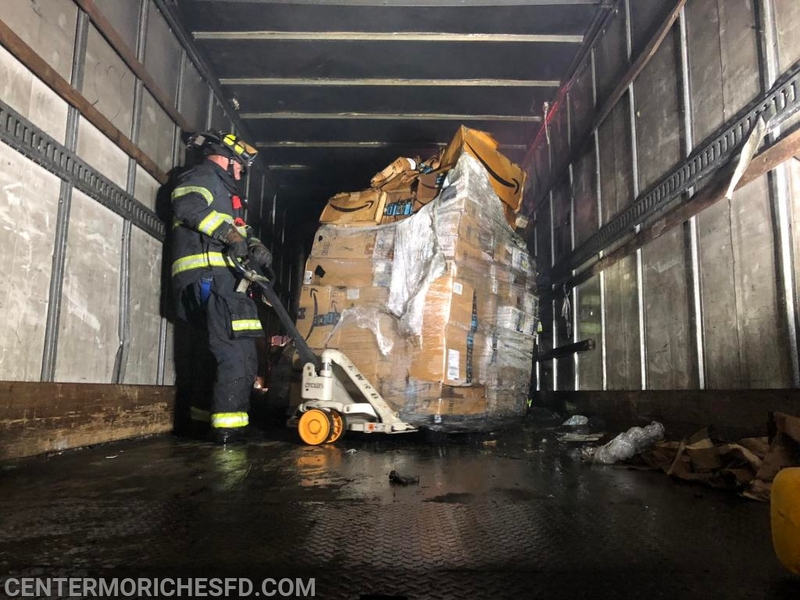 Even with the help from Rosemar Construction who assisted firefighters with a forklift, the extensive overhaul kept firefighters busy for another 45 minutes. 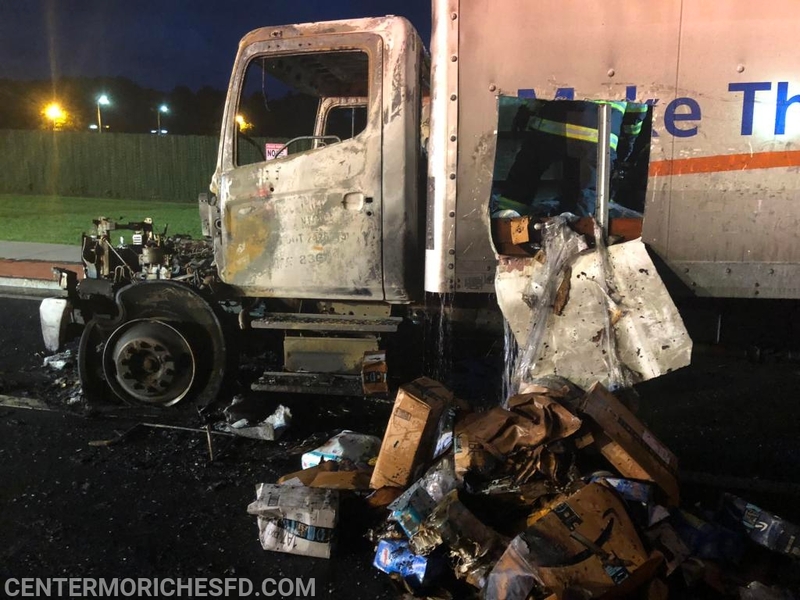 There were no injuries reported and firefighters were back in service within an hour.